Our Row by Row collection of fat quarters has been claimed by Carolyn Mulder. She also received a pattern book since she used our row in her quilt. 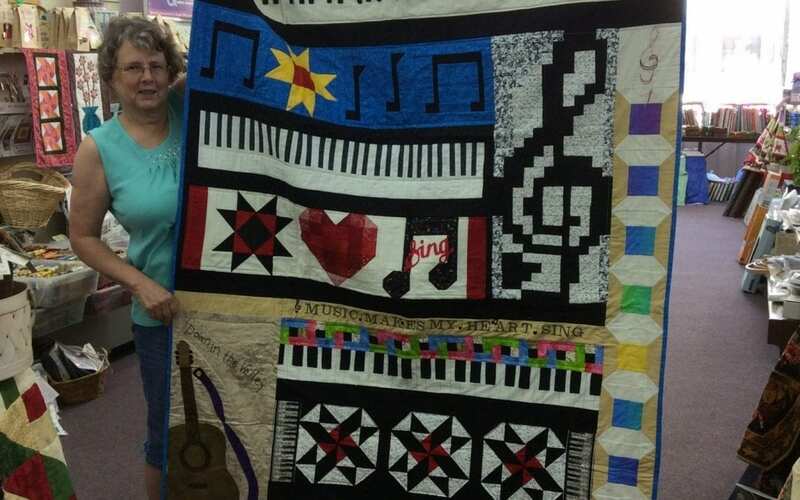 We have her quilt hanging in the shop so be sure to stop in and see the wonderful job Carolyn did of combining 10 rows together in her project.